Left the albergue just as it was getting light, it was forecast to be a hot day so I wanted to make good progress during the cooler part of the day. The scenery was, as it has been all the other days, stunning! 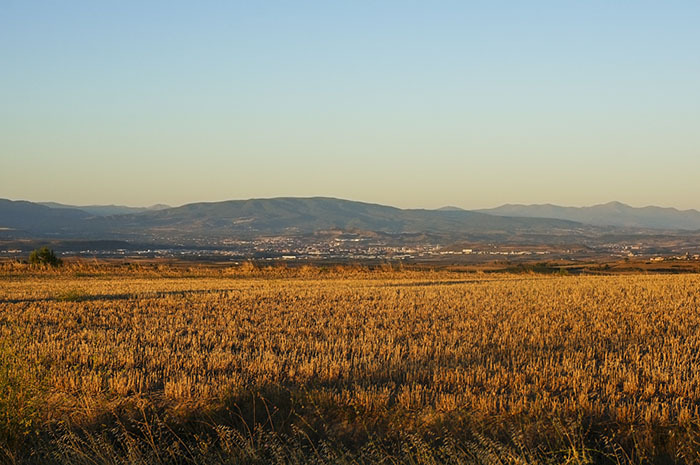 A beautiful mosaic landscape of vineyards, olive groves and farmland. Met Philip the young German student who had such painfully bad feet when I last saw him in Zubiri – he was much better and striding along strongly – ah, the resilience of the young! 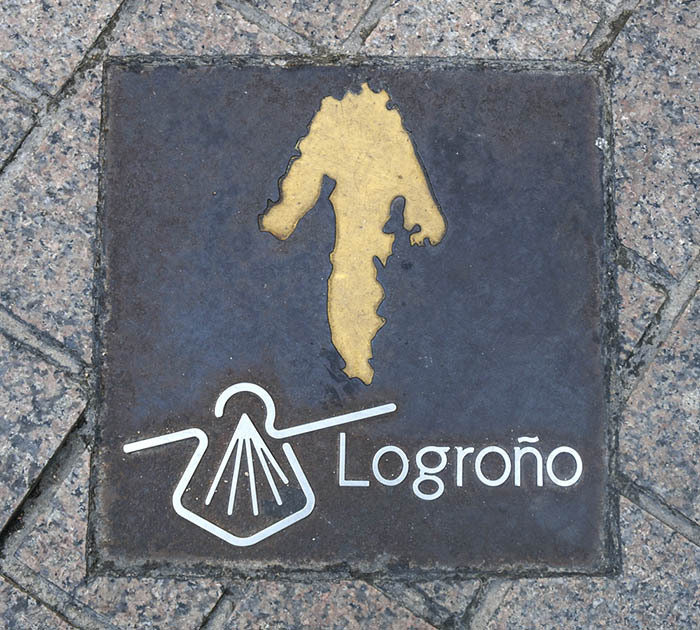 I wasn’t much looking forward to the walk into Logroño but it was, apart from a concreted stretch that was hard on the feet, very pleasant – unlike the way into Pamplona we didn’t have to walk through a busy suburban area. 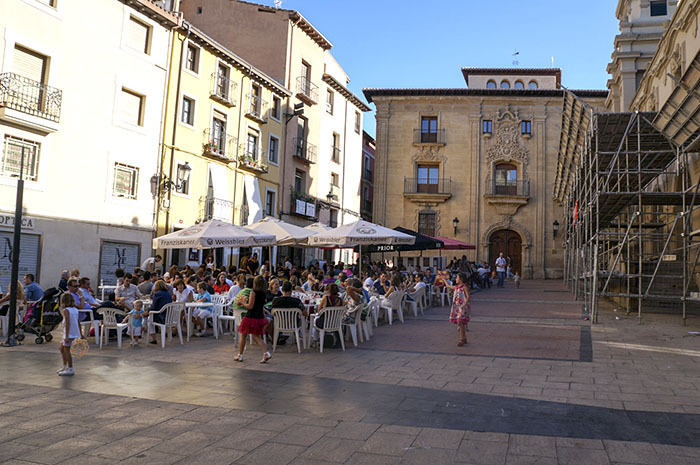 Logroño was a couple of days into it’s annual wine harvest festival. Everywhere is buzzing. 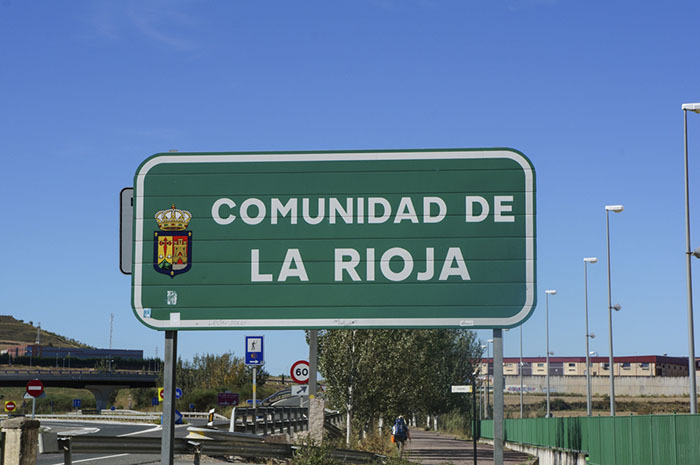 After Sarah and I checked into a hotel we went on a tapas and Rioja wine run – most excellent!